in the game when you click the ball it goes up and then comes back down and the aim of the game is to keep it up. what i now need to do is find the location of the ball in pixels/coordinates so i can make the mouse move to it and click it. By the way the ball has a margin on the left and right of it so it doesn't just go strait up and down but left and right too. Also the ball isnt animated,just a moving image. How would i get the ball location in pixels/coordinates so i can move the mouse to it. I was working on your other, related question when you deleted it and see you are having performance issues in locating the ball. 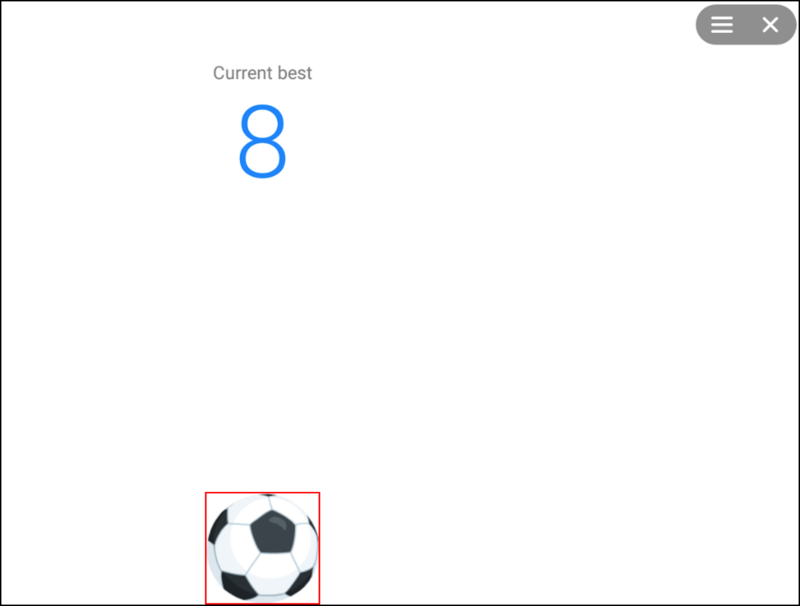 As your ball appears to be on a nice, simple white background (apart from the score and the close button at top right), there are easier/faster ways of finding the ball. First, work in greyscale so that you only have 1 channel, instead of 3 channels of RGB to process - that is generally faster. 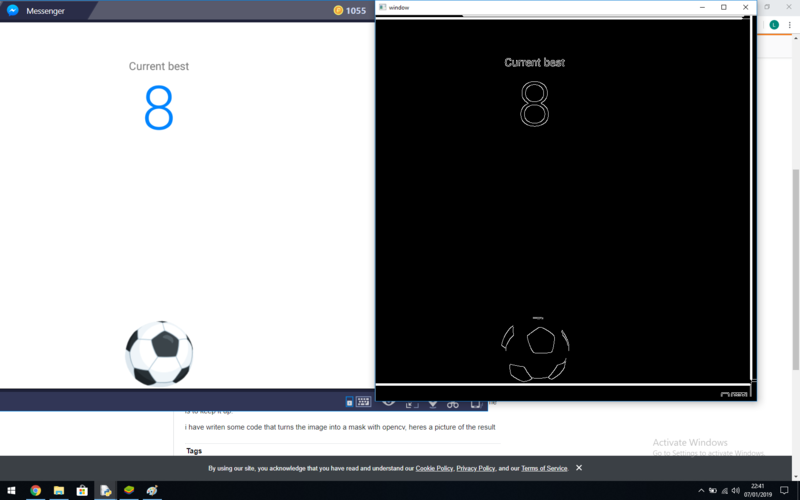 Then, overwrite the score and menu at top-right with white pixels so that the only thing left in the image is the ball. Now invert the image so that all the whites become black, then you can use findNonZero() to find anything that is not the background, i.e. the ball. Now find the lowest and highest coordinate in the y-direction and average them for the centre of the ball, likewise in the x-direction for the other way. The processing takes 845 microseconds on my Mac, or less than a millisecond, which corresponds to 1,183 frames per second. Obviously you have your time to grab the screen, but I can't control that. Note that you could also resize the image down by a factor of say 4 (or maybe 8 or 16) in each direction and still be sure of finding the ball and that may make it even faster. 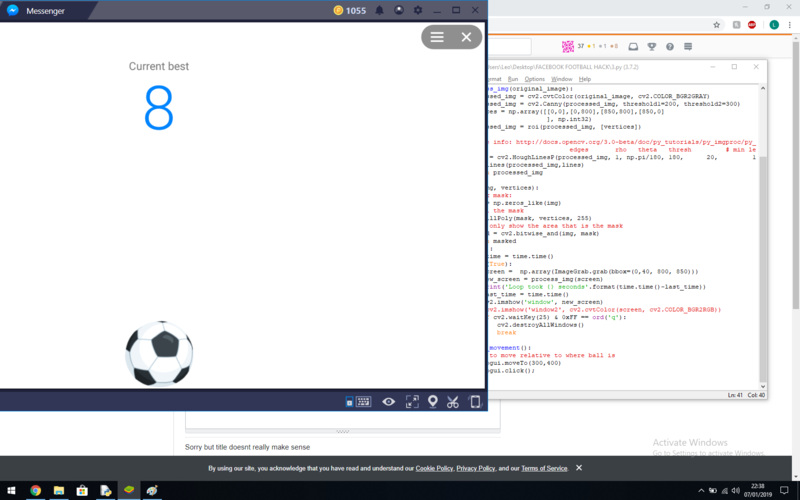 Keywords: Ball, track, tracking, locating, finding, position of, image, image processing, python, OpenCV, numpy, bounding box, bbox. Not the answer you're looking for? Browse other questions tagged python opencv image-processing pygame artificial-intelligence or ask your own question.